President of the European Commission José Manuel Barroso has made his first official visit to Judea and Samaria, meeting with PA Prime Minister Salam Fayyad at Ramallah, the headquarters of the Palestinian Authority last Sunday. His itinerary also included stops at Jericho, and Bethlehem, to support the PA in its bid to have the town recognized as a UNESCO World Heritage Site. Barroso announced a 20 million euro grant for Palestinian police and judicial training, adding that through its political and financial support, the European Union was helping to “lay the foundations” of a future Palestinian state. Quote: “Speaking alongside Palestinian Prime Minister Salam Fayyad in Ramallah on Sunday (8 July) he said that "through our ... political and financial support we are laying the foundations of a future democratic and viable Palestinian state – its institutions and its infrastructure." He voiced "concern" about "the continuous growth of [Irsaeli] settlements in the West Bank, including East Jerusalem." Barroso also met with Israeli diplomats last Monday. His visit follows a recent upgrade in relations between Israel and the European Union. Direct negotiations between Israel and the Palestinian Authority remain deadlocked despite pressure from the EU and US for them to recommence. Last September President Mahmoud Abbas had urged the United Nations Security Council to upgrade the Palestinian Authority's status to that of member state. 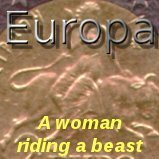 While the EU and US eventually came to their senses and decided against recognizing a Palestinian state that was effectively at war with Israel, the EU did vow that if peace negotiations between Israel and the Palestinian Authority failed in the following months, they would vote for a Palestinian state come what may. But events in Egypt, Syria and Iran have cast a long shadow across the Middle East. With Egypt now under the command of the Muslim Brotherhood, Syria in a virtual civil war pitting East against West, and the impending threat of an Israeli strike on Iran's nuclear facilities, establishing a Palestinian state has suddenly dropped down the international community's list of priorities. If they can just prevent the region from blowing up they will have achieved something. And in the midst of all this stands Israel, an oasis of peace in a sea of turmoil, a living testament to eternal promises of God. For the Lord promised in His Word that just as He had scattered His people to the four corners of the earth for their disobedience, so He would regather them again and bring them back into the land of Israel (Ezekiel 37:12), the land which He gave to their fathers (Jeremiah 16:14-15). Unfortunately the world finds itself on the wrong side of this battle. They say the land does not belong to the Jewish people, it belongs to the Palestinian Arabs. Of course there have been Arab people living in the land for a long time, just as there have been Jews living in it for a long time too. Nobody is denying them the right to live in peace in the land. But there never has been an ethnic 'Palestinian' people. After the Jewish revolt in 132AD, the entire region was named Syria-Palestina by the Roman Emperor Hadrian in an effort to remove any vestige of Jewish character left in the land. The name stuck, and the region was later called just Palestine. Even before Israel was reborn in 1948, Jewish people living in the land were called Palestinians. But the name has been hijacked by terrorist organizations that would seek to destroy Israel. In claiming to be the original 'Palestinians', they have duped the world into believing only they have the right to be there, and the Jews do not. Of course they will find themselves fighting against not only Israel but God Himself. Not that God does not care about the Arab people living in the land. He does care. 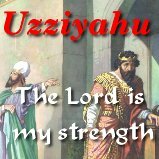 And Zephaniah 3:12 predicts a future redemption for the “afflicted and poor people” that would live amongst the Jewish people when they came back to the land, adding that “they shall trust in the name of the LORD”. Praise God many Arabs have put their trust in the Holy One of Israel, the Messiah. And many Jewish believers in the Messiah worship together with Arabs in many of the assemblies in Israel. But the Bible predicts that the conflict over Jerusalem and the Temple Mount is set to intensify (Zechariah 12:2, 14:2, Revelation 11:2). Only when the Messiah returns and takes His rightful place as King of Kings and Lord of Lords, will the conflict over Jerusalem be properly resolved. It is His land, after all. And then will come to pass the prophecy of Jeremiah, “In his days Judah shall be saved, and Israel shall dwell safely: and this is his name whereby he shall be called, THE LORD OUR RIGHTEOUSNESS”, Jeremiah 23:6. Do you know Him? His name is ישוע המשיח, Jesus Christ. He loves you so much, He gave His life for you upon the cross of Calvary. And all who put their trust in Him for salvation can know their sins forgiven and have everlasting life. Is there peace in your life? Or does the conflict between God and Satan still rage in your heart? 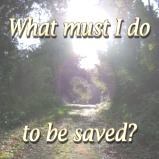 Have you made the Messiah, Jesus Christ, Lord of your life? Have you accepted His sacrifice for your sin? Believe on the Lord Jesus Christ and you shall be saved (Acts 16:31).